Like I mentioned in my last post for absolutely delicious Keto Broccoli Cheddar Soup, I’m going to be pumping out a lot of Fall recipes this season from comfort foods to yummy desserts. And I’m really excited for this recipe because it contains one of everybody’s favorite Fall staples: Pumpkin. A note about pumpkin…be careful because you CAN overdo it on Keto. With 4 net carbs in 1/2 a cup of pumpkin puree, it can be easy to overindulge. 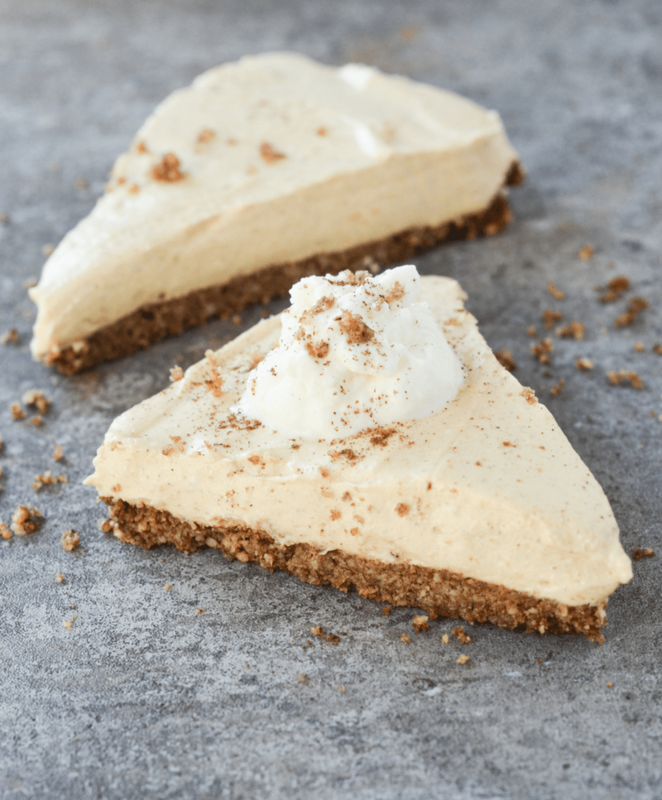 I’ve seen a lot of recipes for low carb pumpkin cheesecake, but I think one thing that sets this one apart is the yummy crust. Let me know what you think! The good news is the macros per serving for each serving of this recipe are pretty on point. If the pie crust “dough” in food processor seems too dry, add another tbsp of butter. This looks awesome. What is Pumpkin Puree? Thank you! It’s just pumpkin that’s been cooked and pureed. You could make your own or buy it in cans. I used a can that cost around a dollar. It’s usually found in the baking aisle. Hope that helps! 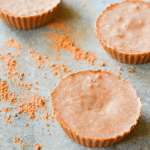 Would powdered erythritol work too? I believe that is what Swerve is made of. Swerve is a brand name. Can you use pecans instead of walnuts for the crust? Pecans worked great for me! So we’ve tried swerve before and do not particularly care for the taste.. So could we substitute the Swerve for a Liquid Stevia? We use Sweet Leaf. Hello, can i replace the walnuts with almonds? I am allergic to walnuts….thanks!! I’m not positive but I’m gonna try it out and see how they work! you want I don’t have measurements. Always turns out great. Can’t wait to try it with this cheesecake! Hi can you use the canned pumpkin with spices already in it? Pumpkin pie mix? You wouldn’t want to use that for a low carb recipe. Those pumpkin pie mixes can be easy and tasty, but they’re typically loaded with sugar. So the cream cheese mixture doesn’t go back in the oven? Straight to the fridge? I made mine in individual Pyrex cups. We loved I! OK – So I made this because I wanted to experiment with the crust for other purposes. First, incredibly easy to make. Second, really tasty – I’d like it a little heavier on the filling texture – but my taste testers really liked it. Then, the worst thing possible happened. My wife shared a slice with my grand daughter. Guess what – somehow, as a result of this taste test, I was volunteered to bring, not one ,but two over for Thanksgiving. 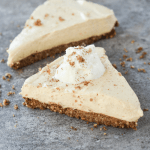 Since most of us have converted to Keto, this will be the alternative to traditional pumpkin pie! 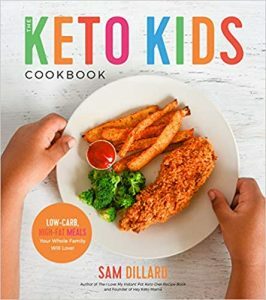 Seriously, glad I can contribute… Thanks for the recipe Keto Mama! This is so delicious!..I’m making it a second time right now! What kind of pan do you recommend? I’d go with anything that’s about 9 inches. My dish is about 9.5 inches. Cannot even describe how delicious I think your recipe is! Did not take the holidays into account when I began Keto in October. I was so concerned about attending get togethers this year & being unable to resist the desserts. This recipe saved me from wanting to cheat! Incredibly grateful to you for posting & sharing so freely with everyone. Can you use trivia and would you happen to know how much? I’m not sure how truvia works, but you should be able to sweeten to taste. I would just add it in gradually tasting along the way! This is so delicious! 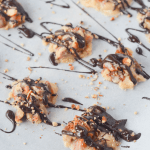 The nut crust is such a complement to the delicious filling! Took one to a birthday party last night and making another one for Thanksgiving today! Thank you! Hooray! So glad you loved it! Made this for Thanksgiving and it is delicious but I can’t figure out how you calculated 6 carbs when the swerve alone is about 20 grams per slice? … I’m still eating it though ???? Good question. I calculate net carbs, which is total carbs minus fiber and sugar alcohols. Because the fiber and sugar alcohols have no affect on your body’s blood sugar/insulin response, they can be subtracted from total carbs in a dish. 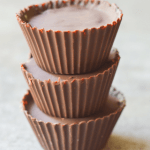 After over two years keto this has become my favorite dessert!..so indulgent and even non keto hubby loves it!…it’s so easy too and I keep making it over and over! Thanks! I only have granular Swerve. I hope it works! I loved this cheesecake! Made this for thanksgiving this year and not only was it super easy but a huge hit! Thanks! I thought this recipe was delicious. Thank you SO much for this recipe! The only change I made was that I used Pyure (erythitol/stevia) instead of the Swerve. I also made whipped cream with a touch of vanilla and Pyure. We had family over for a keto meal tonight. Out of 11 people, all but 1 loved it and she doesn’t like any cheesecake. This was eaten by 6 PICKY kids! THAT is proof of how delicious it was. Thank you again. I can’t wait to try this. One question the powdered is that the confectionor”s sugar substitue? Could you use pecans instead of walnuts?? I loved this! I couldn’t stop eating it – thank you!!! Finally a dessert that doesn’t taste like eggs!! I don’t like nuts. Do you think this would work as cupcakes? Will make this again and again! Really really good. Can’t believe this is low Carb. I would probably reduce the swerve just a tad next time. Thanks for offering this recipe. This is, by far, the BEST Keto dessert I’ve tried so far. Absolutely DELICIOUS!! I appreciate the walnut crust recipe so much and I’ve used it for many other recipes also. 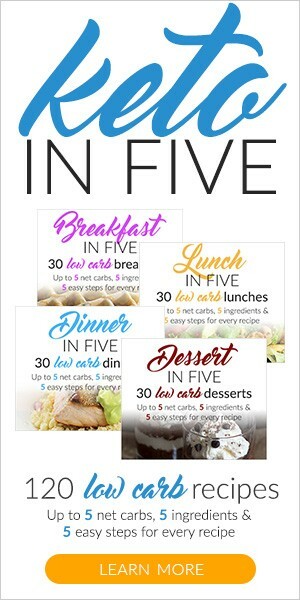 I appreciate you so much – making it easier for me to live my “Keto” life!! This is great but if you are looking for something more cheesecake texture and less pudding-like I would reduce or possibly omit the heavy cream. Delicious as is, but very soft. could you add an egg or egg white? Next time I’m reducing swerve to 1/2 cup. It’s a little too sweet. I also used pecans instead of walnuts. Overall not bad. Hi, I was wondering if I used the crust recipie with another pie I would need to bake for longer would it work? Or would it burn the crust? If it would burn do you have any suggestions? This is so delicious! But I don’t understand how you say there are only 6/4 net grams of carbs. I saw your previous explanation, and I know how to figure net carbs. I do not know how to figure sugar alcohols, but I can’t believe they would make a difference of almost 20 grams. According to Cronometer and my calculations, there are 24 carbs. That being said, I do believe your recipe is worth every single carb!!! This recipe is amazing! So delicious. Thanks a bunch! 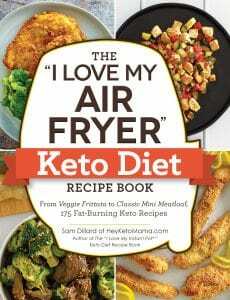 I’ve been doing KETO since the end of July and it’s absolutely saving my life. I’m losing weight and being taken off meds for diabetes (Type II)…and by and large I’ve stopped eating “sweet tasting” things since. And honestly, when I take a small taste of anything I used to eat (even bread items), they just taste overly sweet! I guess KETO is changing what I used to think of as a “sweet tooth” into a more savory-seeking experience. But…having said that, Thanksgiving is coming up and I found this recipe. I thought about making it in ramekins for individual servings since only I and one nephew are doing KETO. My question (yes, there is a question embedded here) is this: I usually find low-carb desserts like this a bit “floppy” in texture when compared with the kinds of cheesecakes I’m more used to (New York style). I’m wondering if adding unflavored gelatin into the cheesecake mix would help make it a bit denser? First of all, I’m not one to leave many reviews. 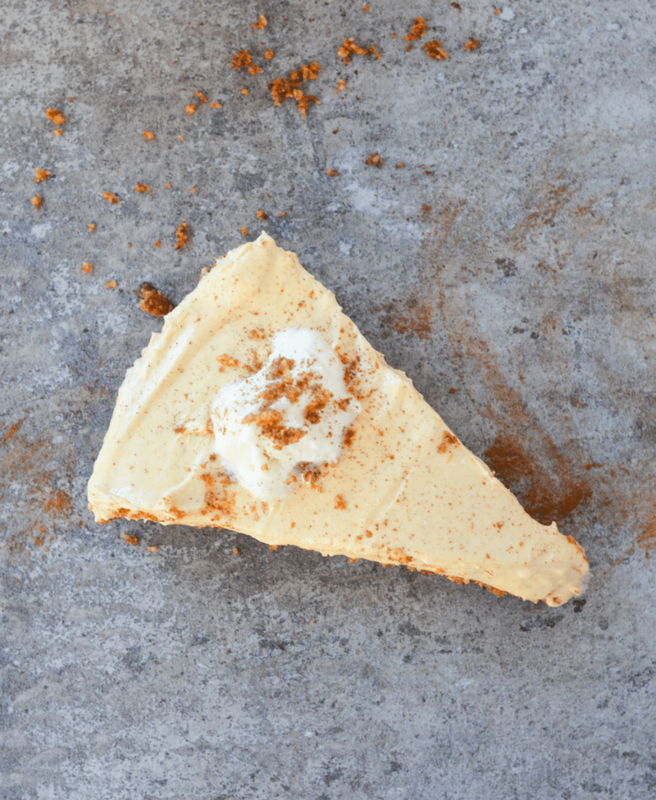 This pumpkin cheesecake is absolutely phenomenal! I wouldn’t change a single thing about this recipe except maybe adding a touch more butter to my crust. My whole family is Keto & couldn’t believe this was so fabulous. Forget thanksgiving, this is my new year round staple dessert! Thank you! OMG, I made this today, and I can’t wait to have the actual pie when it sets. The shell tastes great, and the pumpkin pie filling is awesome! I never would have imagined it could be so good being sugar free and Keto Friendly!!! Two Thumbs up, thank you for the recipe, sooooo easy. Could almonds be used instead of walnuts for the crust?